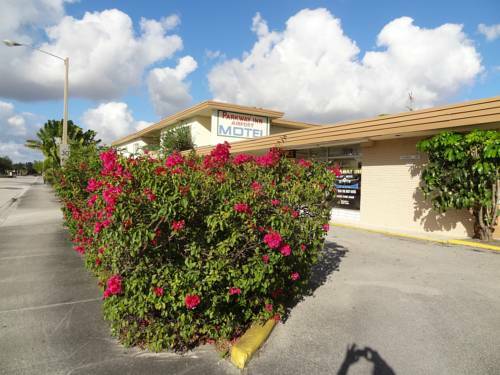 Located 3 miles from the Miami International Airport, this Florida motel features free Wi-Fi and daily coffee, tea, and donuts. 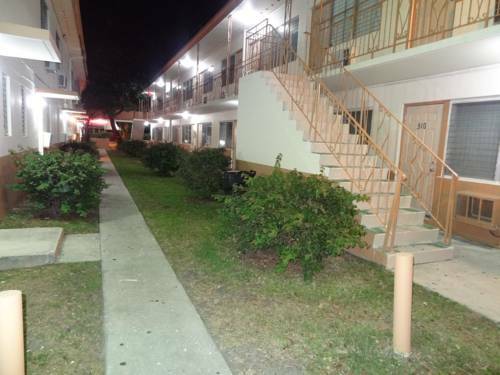 This Florida Parkway Inn Airport Motel provides a 24-hour front desk for guests' every need. Free on-site parking is available.Miami Beach and iconic South Beach are 9 miles away. The hotel is 8 miles from Miami International Mall and Dolphin Mall. Guests will also be a 5 minute walk from Miami Springs Golf and Country Club.All guest rooms include a cable TV and a sitting area. 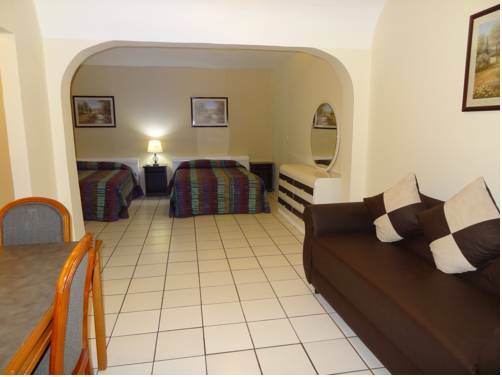 Select Parkway Inn Airport Motel rooms include a small refrigerator and microwave. A desk is provided as well.An on-site business center is available for added convenience.